Keath is a husband to Angie and father to Cameron, Blayke and Grant. Family is his number one priority. His life purpose is to connect, coach and challenge individuals to reach their maximum potential. Keath is a John Maxwell Team certified trainer, coach & speaker. He has a Bachelor’s Degree in Theology from Hillsdale College and a Master’s Degree in Human Relations from The University of Oklahoma. He has expertise in growing and developing people and organizations. He was a Partner & Vice President of Human Resources and Organizational Development at LinkAmerica Corporation; Senior Manager of Human Resources for Hilti North America, General Manager of a John Deere Dealership in Texas and currently is a partner and serves as Chief Operating Officer at Anspire. Keath serves on the Board of Directors for The Fellowship of Christian Athletes and The Oklahoma Parkinson’s Disease Association. 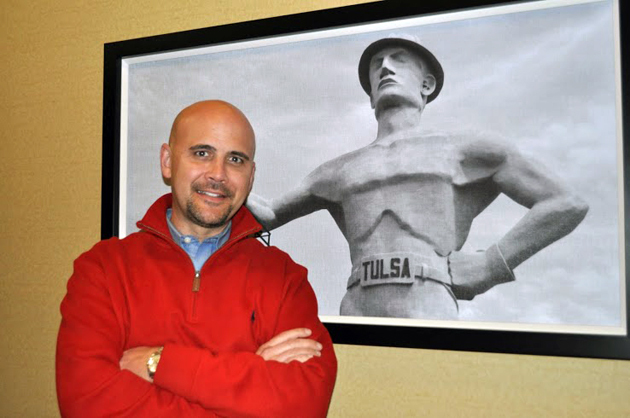 He is a graduate of Leadership Tulsa where he served on the Executive Leadership Committee. Keath also served on the Board of Directors for The Margaret Hudson Program, The Tulsa Business Marketing Association, and The Tulsa Metro Chamber Hospitality Committee. Recently, Keath had the opportunity to join Oklahoma Wesleyan University as an Executive in Residence: Human Resources and Leadership for the Chesapeake Energy School of Business. Teaching at the university level has been a life long dream of his.